1 deep sea creatures | This Blog Rules | Why go elsewhere? 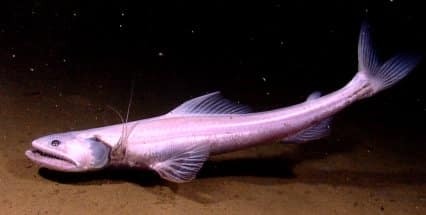 We are all know what dolphins, sharks and whales look like; but what about the less famous deep sea creatures found down there, like giant squid, lizardfish or unusual types of eels? We discover so many animals deep in the ocean, creatures that we know too little about them, so it is a challenge to research and understand more such weird and scary beings. 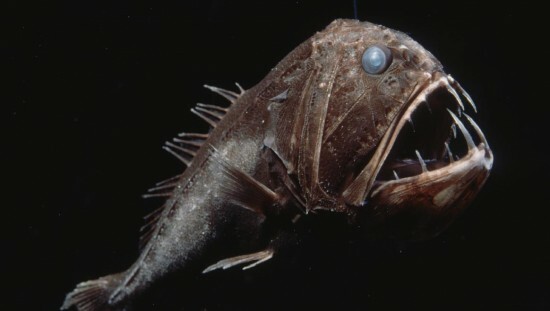 On top of the list we find the fangtooth fish and it is one ugly looking predator. This species lives at very low depths and catches the prey by attracting it with bioluminescent organs known as photophores. In the dark abysses, all animals are lured to sources of glowing light emitted by these organs and when they are close, the fish can grab them with his large teeth. Another meat-eating sea creature is the prehistoric deep-ocean lizardfish. These exciting animals look like reptiles found in normal water. The mouth is protected with harpooned teeth that catch the food, just like fish hooks. The teeth are easy-to-open so they can be pressed down when they swallow the prey and stand up for attacks. The prey does not even need to be swallowed completely, since it gets caught easily among the sharp teeth. With the radiant yellow-colored eyes, the lizardfish can be the weirdest creature for many. Often known as weird and creepy deep sea creatures, the blind eels are next on this list. They were believed to be sightless because they have such little eyes. They feed on both live and dead seafood that can be identified through a strong smell. 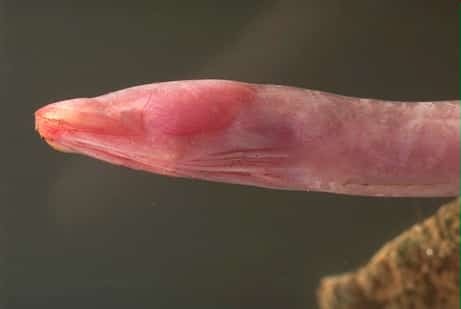 They have round lips that they use to pull on the prey and a tooth-studded tongue that allows cutting through the skin and basically consuming it from the inside. It is also known as slime eel because the epidermis produces sticky slimes, these being used for suffocating the attackers by blocking their gills. The last on our list is one of the mysterious and scary deep sea creatures, the giant squid, and it has been the topic of countless stories for hundreds of years. Until lately, however, these stories were treated as simple fragments of imagination. The only real facts we have on them are from discovering parts of the squids in the bellies of sperm whales, and those that have been found on coasts after a tsunami. Another place where their appearance is obvious can be found on the skin of whales where massive marks are seen, following the terrifying fights between these two giant creatures. These squids will grow to the dimensions of a bus or even larger. They are meat-eating animals and have torpedo bodies. At one end, around a beak-like mouth with jaws and muscles powerful enough to go through metal wires, are 10 arms. Two of them, slimmer and longer, are used to capture its food and carry it to the mouth. Near the mouth there are located the largest eyes of all animals, growing as large as 18“wide. 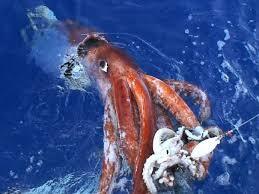 They are extremely difficult be caught alive on images or videos because they reside in very deep underwater. It is exciting to think about the other kinds of dangerous and amazing sea creatures are in the ocean that we have not yet found. What amazing things does the abyss keep from us and will we ever discover it? With today’s newly technological innovation we are regularly looking for new methods to research the ocean bottom and the chance of finding rare species becomes closer every day. Since we believe that we have seen it all, the unknown waters still offer us something cool and new each time.